Oh, after all I have to say something - the design of this cute little girl is not entirely mine. I tuned it to a collection of fashion brand Next 2010. 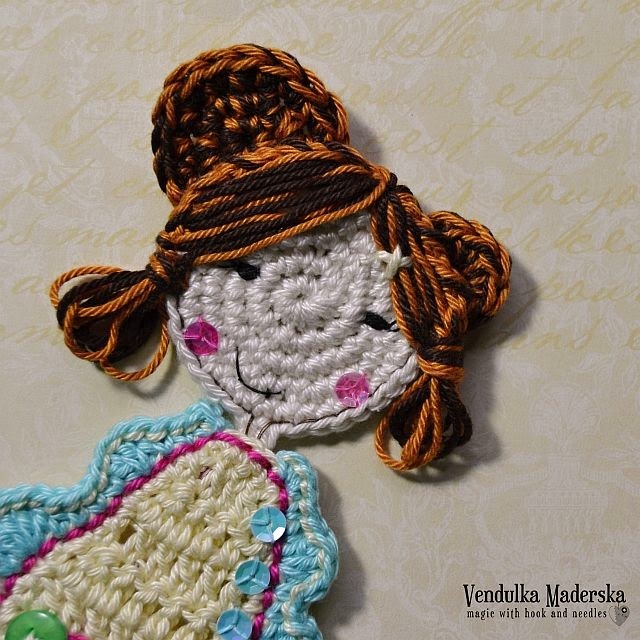 Me and my little one Natalka like this little cute girl very much, so I made it as a crochet applique too. 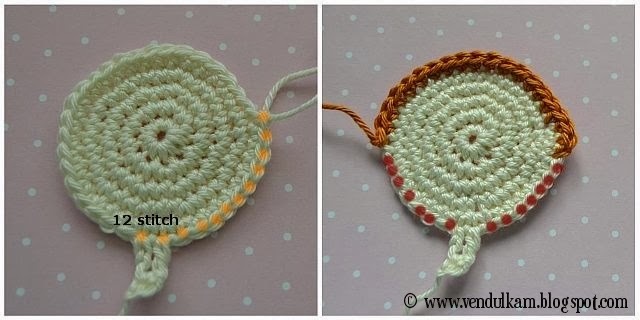 Take a hook 3 mm and some rest of 100% cotton, 5 ply weight yarn, you will also need needle with blunt tip, common needle and sewing threads, tiny button and sequins. 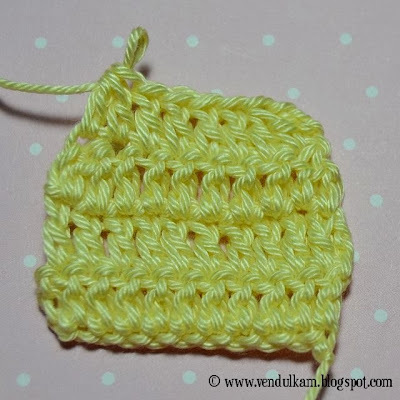 Use beige yarn. 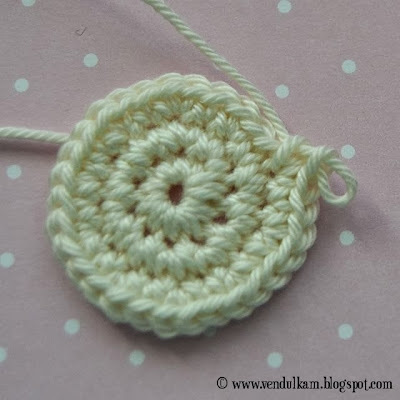 You will crochet continuously in spiral circle rounds – it means that you will NOT join the rounds. Round 5: inc in first stitch, single crochet in each stitch around (36 SC), end the work. 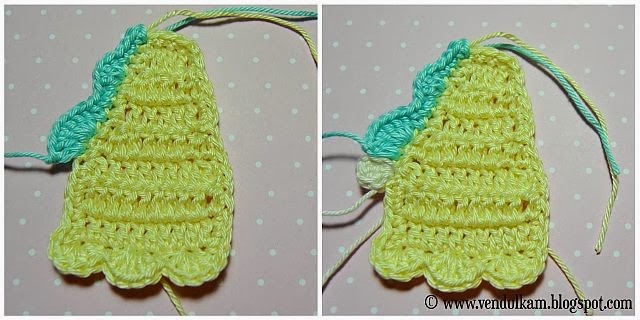 Use beige color yarn, insert hook in 12th stitch from the end of previous round as you see on the left picture below and make 3 CH, 1 DC in next stitch, 1 CH for turning the work, turn the work, 1 SC next 2 stitches, end the work. 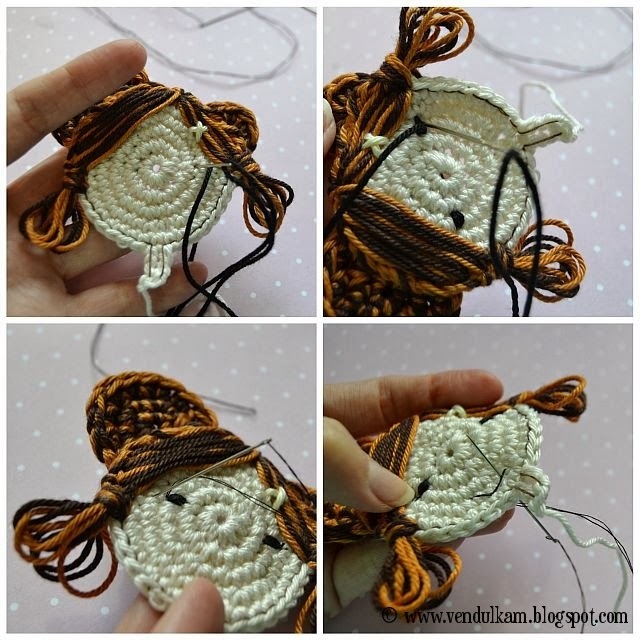 Use cinnamon color yarn and make a beginning of the hair: insert hook in 8th stitch from the neck and make 1 SC in next 20 stitches, end the work. They will stay 7 beige stitches on the sides. 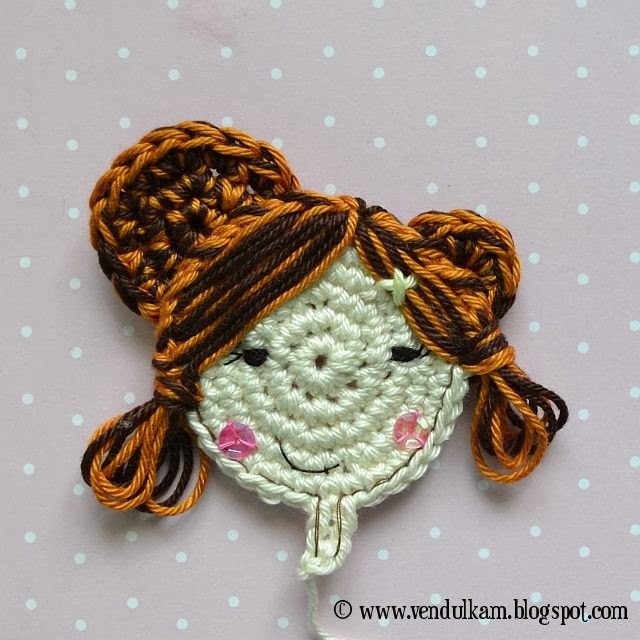 Embroider the hair, you will need the needle with blunt tip. 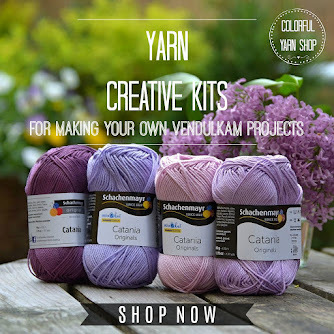 Use cinnamon and brown color yarns. You will have two threads. Please see the pictures below. Make the second part of the hair by same way as first. 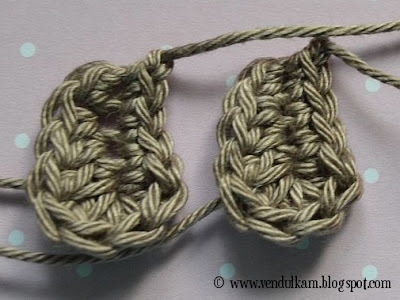 Use two threads – cinnamon and brown color yarn. 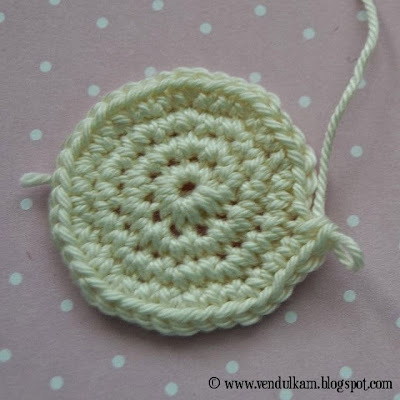 You will crochet continuously in spiral circle rounds – it means that you will NOT join the rounds. 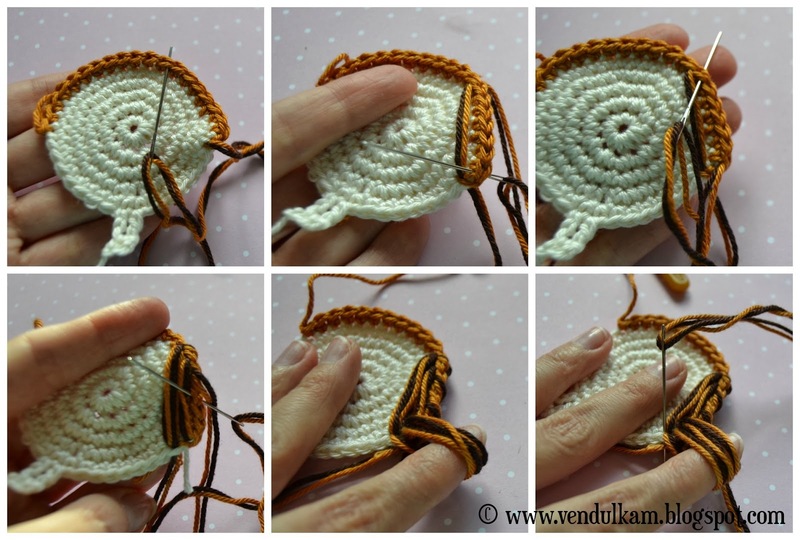 Round 3: 1 SC in next 3 stitches, inc – repeat it 3 times totally (15 SC), end the work. 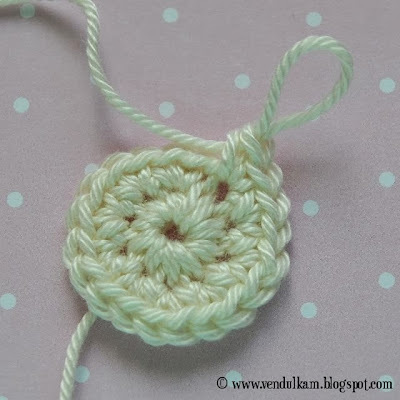 Use two threads – cinnamon and brown color yarn. Round 1: 1 CH, 9 SC, join first SC with 1 SlSt, end the work. Sew both chignons on the backside of the head. 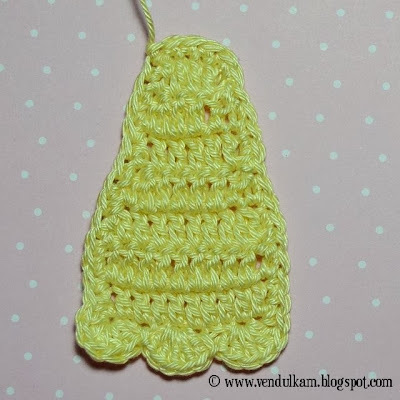 Use light yellow color yarn and sew small cross as a hair clip. Embroider the eyes. 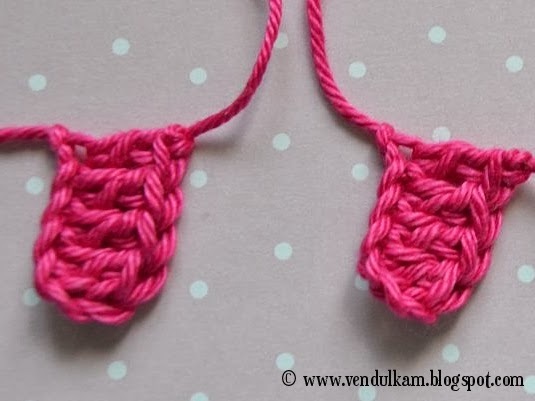 Use black yarn. Use black common sewing threads for sewing lashes and smile :-) Use brown common sewing thread and sew the contour of the head and neck. Sew the spangles as the cheeks. 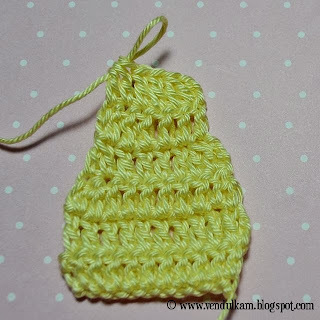 Use light yellow color yarn. 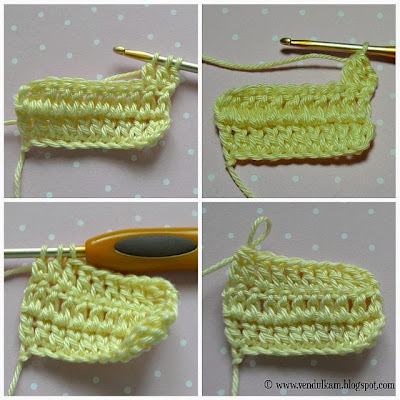 Row 3: 3 CH as a first DC, 1 DC in next 2 stitches, but you don't finish them and they will stay on the hook – crochet them together, make 1 DC in next 6 stitches, make 1 DC in next 2 stitches – which will stay unfinished on the hook and crochet them together; (9 DC), turn. 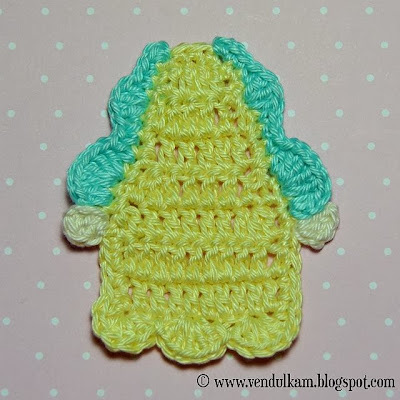 Row 8: in this round you will crochet around all dress. Don't turn the work and make 13 SC in the bottom direction, 5 DC in one stitch, skip 1 stitch, 1 SlSt, 5 DC in one stitch, 1 SlSt in next stitch, skip 1 stitch, 5 DC in one stitch, crochet 18 SC in neck direction, join first SC with 1 SlSt, end the work. Left sleeve (mirror view): use light blue color yarn and make 2 SC in the corner stitch near neckline, 2 SC, 3DC in one stitch, 3 SC, 1 HDC, 4 DC in one stitch, 1 DC + 1 HDC in one stitch, end the work. 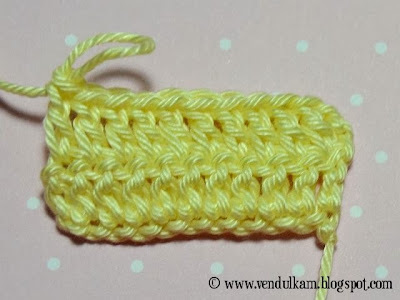 Use beige color yarn and crochet in the next stitch from the end of the sleeve: 3 CH + 2DC + 1 SlSt (all stitches in one stitch), end the work. 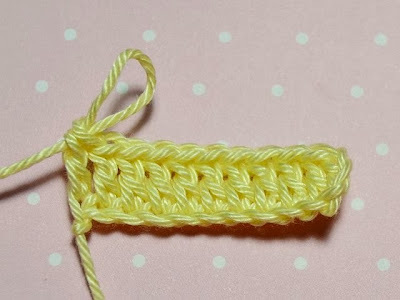 Right sleeve (mirror view): skip two neck stitches and count 10 stitches and insert hook in 10th stitch, as you see on the picture below. 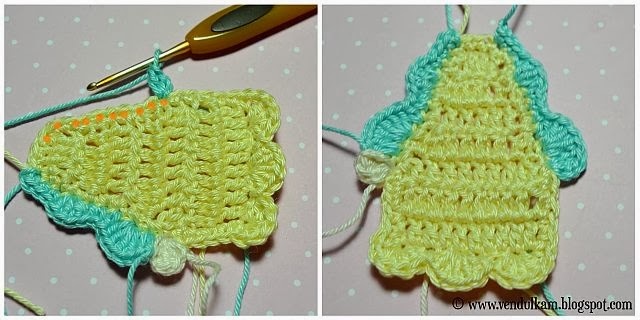 Use light blue color yarn and crochet in the neck direction: 2 CH + 1 CH in one stitch, 4 DC in one stitch, 1 HDC in next stitch, 1 SC in next 3 stitches, 3 DC in one stitch, 1 SC in next 2 stitches, 2 SC in one stitch, end the work. 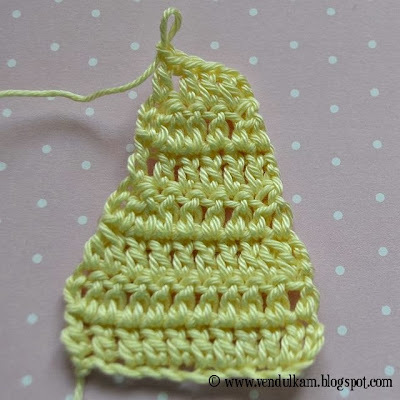 Use beige color yarn and crochet in the next stitch from the end of the sleeve: 3 CH + 2DC (all stitches in one stitch), end the work. Shoes – make two pieces, use brown-gray color yarn. Round 1: insert a hook in second stitch from the hook and make 1 SC in next 3 stitches, 1 HDC in next stitch, 4 DC in last stitch, continue in circle direction and make 1 HDC in next stitch, 1 SC in next 3 stitches, end the work. Pockets - make two pieces, use hot pink color yarn. Row 1: make 7 chains (first 3 chains count a 1st DC), insert hook in 4th stitch from the hook and make 1 DC in next 4 stitches, end the work. Sew the pockets on the dress. Neaten free threads. Embroider the contour of the pockets. Sew small button on one pocket. Sew the shoes on the backside of the dress. Sew the head and dress together. Embroider the dress and sleeves using basic embroidery stitches. Sew the spangles on the dress. If you don't like the gap in the middle of the head, you could sew the gap on the backside of the head. Genial!!! como me gustan estas pequeñas joyas muy lindo y muy generosa mostrando el paso a paso besitos. Girl gorgeous! !Thanks for such a detailed description ! Girl is so cute! 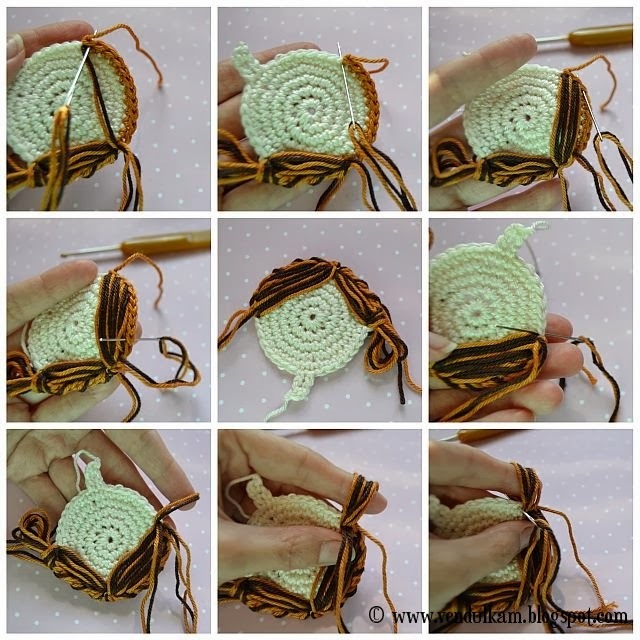 and the pattern is great - it is very very good idea with so many photos especially for beginners. It has to take you a while to prepare it but I am sure everyone who see the girl and the pattern will fall in love with it! I cant wait to try it - will do my best to do it today time depending! Bellissima! Sei un mito! 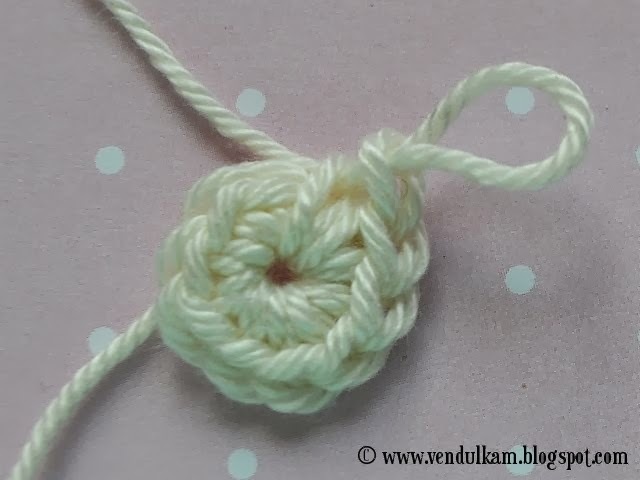 Grazie per questo chiarissimo tutorial! So cute. She gives little and grown-up girls a smile on their face. Thank you for sharing the pattern. Very nice, thank you for the tutorial! Me ha encantado el tutorial,muchisimas gracias!!! Hola Clara, desde España. Quiero felicitarte por tu blog, es fantantico como combinas los colores y les das esa vida, sin hablar de los diseños, te admiro profundamente. He hecho dos de tus diseños la niña y la flor en mi blog lo muestro. Gracias por todos eres fantastica. Hi do you have this pattern as a pdf to download? Are you on youtube with english tutorials? 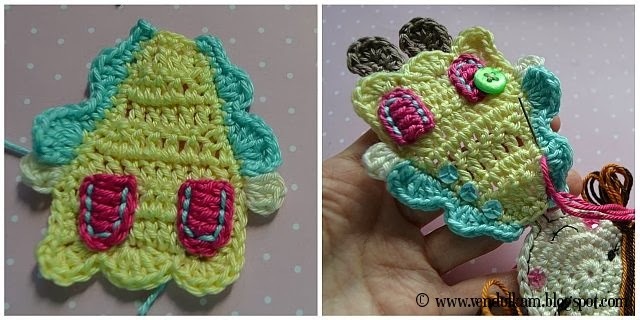 Do you have any free blanket baby or purse patterns or any other applique patterns? 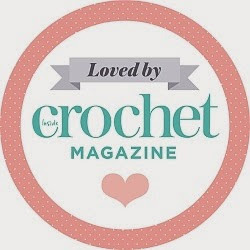 I'm not sure what sites offer free patterns as I'm still quite new to crochet as all my stuff was stolen in hospital here while I've been in for 12 weeks now. Very nice. I like all picture of U! you are amazing ;) muchas gracias !!! Really love, love, love your work! 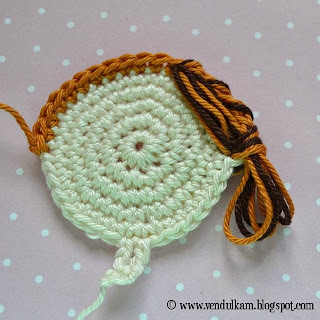 Will you do PDFs for these free patterns in future?? I love the little cardigan pattern. Thank you for such a lovely PDFs on that one! 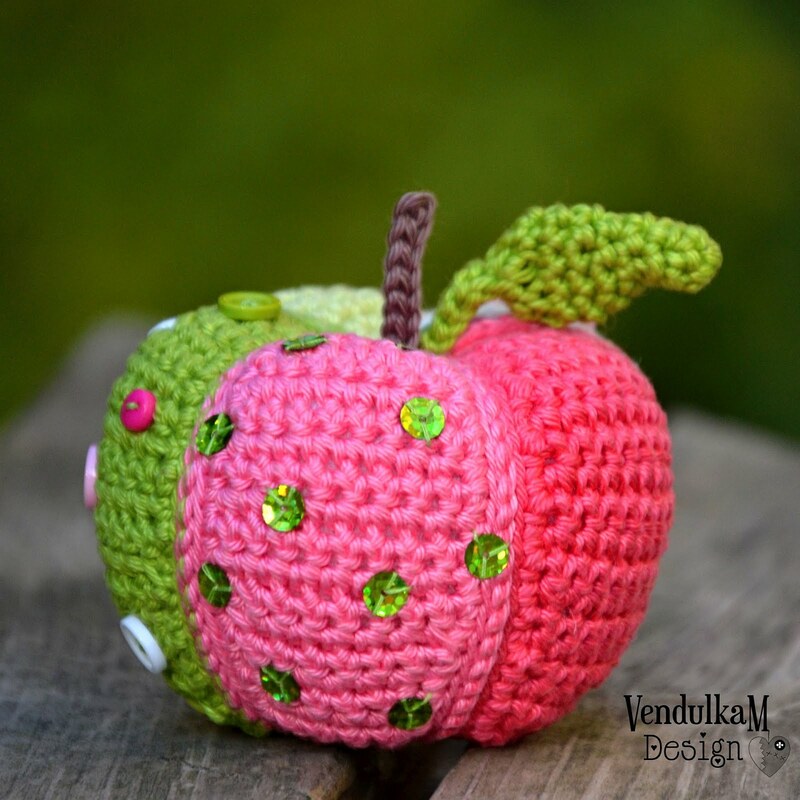 Looking forward to making this for my niece! Happy Friday to you! 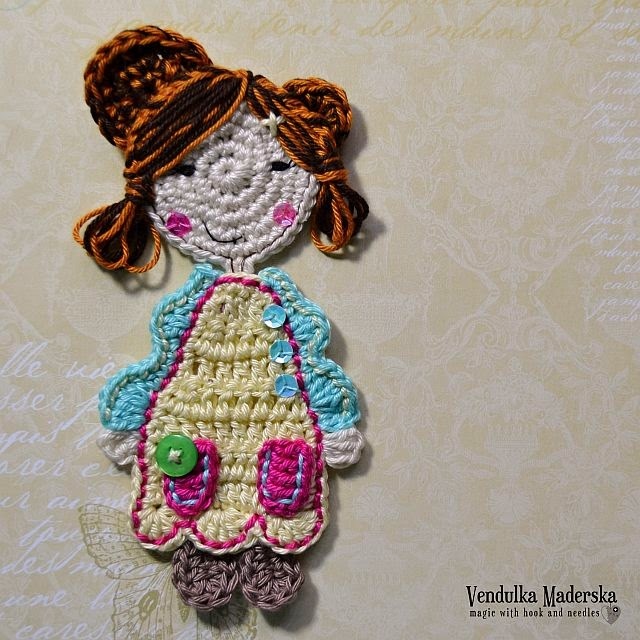 This girl pattern is very cute! Adorable!! 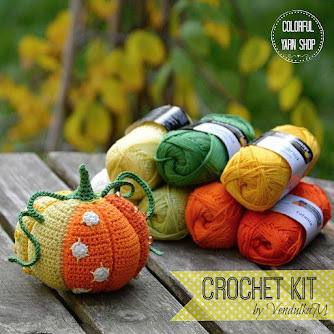 Looking forward to making this for my niece! Happy Friday to you!